Measurement in urine BioSystems launches a new reagent for measurement of Oxalate (Oxalic Acid) in urine (code 12539). Oxalate is an end product of metabolism, predominantly derived from breakdown of glyoxylate and glycine. It is eliminated entirely by urine and only about 15% of urinary oxalate is derived directly from dietary sources. 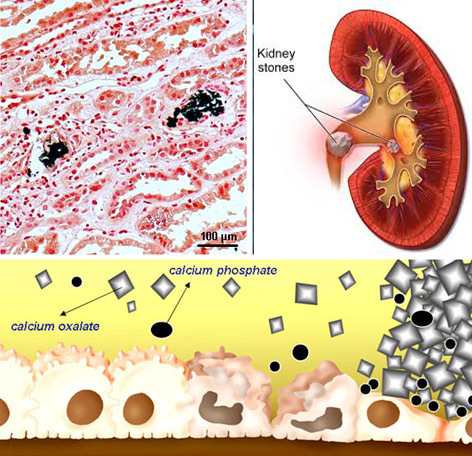 Hyperoxaluria is a powerful promoter of calcium oxalate stone formation. An increased excretion of oxalate in urine may occur as a result of an excessive ingestion of oxalate rich foods, because of malabsorption due to different gastrointestinal disorders (enteric hyperoxaluria) or because of an inborn error of metabolism (primary hyperoxaluria). Low oxalate values in urine are associated with hyperglycinemia or hyperglycinuria. BioSystems introduces this method (Oxalate Oxidase/Peroxidase - differential bireagent) in dedicated presentation for A15 and A25 analyzers (code 12539: 1x25mL, 20 tests). It is calibrated using its own standard included into the kit. The kit also includes 20 pretreatment tubes, necessary to perform the test. We also have available the pretreatment tubes separately with a presentation of 100 units (Oxalate Pretreatments Reagents: code 11839). It is recommended to use the Oxalate Control Urine (code 18062, 1x5mL) to verify the performance of the measurement procedure.